Founded over 80 years ago, Tel Mond has developed into an intimate suburb with both religious and secular residents. Located in the heart of the Sharon region, Tel Mond is home to a vibrant and active Anglo community. Residents of Tel Mond benefit from being only kilometers away from high-tech job opportunities, shopping centers, and the beach, while also being able to enjoy the calm and luxury of living in a suburban community. Tel Mond has local businesses and neighboring hi-tech parks, and is easily accessible to employment opportunities in the center of the country. There are 3 secular elementary schools, which are all in one central location. There is also a middle school/high school in Tel Mond which services the secular community. Starting in elementary school, there are separate English classes in the schools for native-English speakers. Both Bnei Akiva and Tzofim are active youth groups in the community. Tel Mond organizes joint programs for both secular and religious youth, which are sometimes recreational and sometimes educational. Tel Mond is centrally located. There is a train station in one of the neighboring communities. As in most suburbs, it’s advisable to have a car. There is bus transportation within the town, to the train, and to the main junction but not as frequently as in a city. Tel Mond is situated just off the Tel Aviv-Haifa Route 4, and a 15 minute drive from the coast. 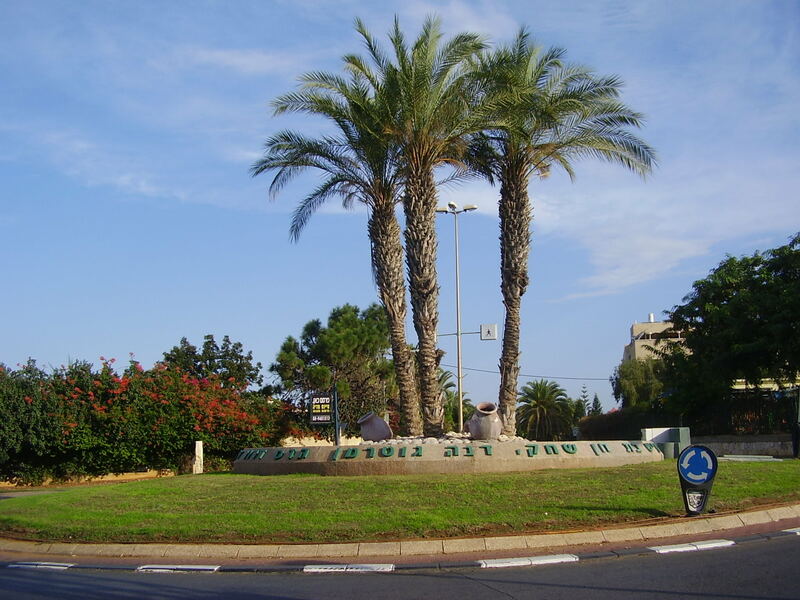 The community is very close to the Bnei Dror intersection, a major transportation center. The train station is located in nearby Bet Yehoshua with regular service to Tel Aviv (20 minutes) and Haifa (50 minutes). The community and school play a major role in welcoming the oleh family and provide support throughout their acclimation. Residents can receive olim services, such as ulpan, in the neighboring Netanya and Raanana. Tel Mond has an active community center that offers after-school care, all types of extracurricular activities (such as karate, ballet, art, gymnastics, chess, drama in both English and Hebrew) and various cultural programming. There is a local public library, and sports center, as well as health clinics, fitness facilities, banks, restaurants, supermarkets, and clothing stores. The town is located several kilometers away from major shopping centers. 90% of the homes in Tel Mond are semi-detached houses. Neighborhoods in this community are named after the major street names. The older area is called Etzim. The Kiryat Hinuch (education complex) is located in the Nahalim neighborhood. Most of the English speakers reside in Tziporim, Giron, Rigashot, and Achuzat Adarim. The other nearby neighborhoods are called: Prachim and Avnei Chen. All of which are a short walk from the center of town, the schools, and the synagogues.